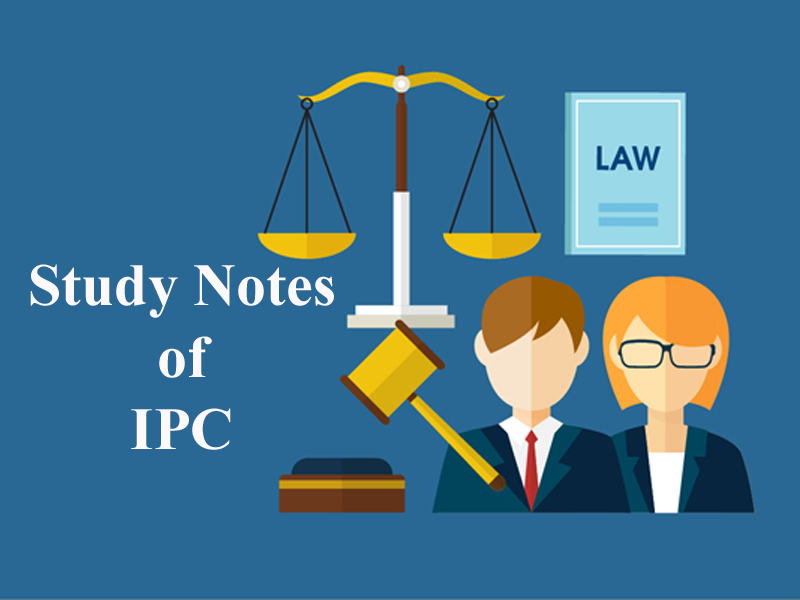 Here we are providing you updated and most relevant Study notes on IPC of Introduction for Law Entrance Exam. These study notes are highly recommendable for all those who aspire to crack CLAT, DULLB, AILET and other Law Entrance Exam. “Offence” is defined as an act punishable under the Indian penal code. State punishes the wrongdoers through its agency (law and order mechanisms in place), as the State is under obligation to ensure peace and security in society. To Administer Justice, Law Machinery sets general principle of Criminal liability. · · The Indian Penal Code was enacted (to establish by law) in 1860 and was enforced (to put into execution) in 1862. Lord Macaulay acted as the chairman of the drafting committee of the IPC. Basically, IPC is a piece of substantive law. A substantive law merely defines various ‘offences’ or ‘crimes’ and states the maximum punishment that can be meted out in each case. · It does not tell the procedure by which the accused is prosecuted and punished. The Code of Criminal Procedure, 1973, addresses these procedural aspects of criminal law. Act does not constitute guilt unless done with a guilty intent. “Mens Rea” refers to the mental element necessary to the particular crime and the mental element may be either intention to the immediate act or bring about the consequence or recklessness as to such act or consequence. Ø Legal Presumption- a man has to have intended the Natural Consequence of his acts. Ø Ignorance of law is not an excuse in criminal Law. Ø Mistake of fact is allowed but Mistake of Law can’t be ignored. Ø Lex Loci : Even a Foreigner must know Law of the land. 1. Intention to commit Crime. Mere intention to commit a crime, not followed by an act, does not constitute an offence. It is a direct movement towards the commission after the preparations is made. To constitute the offence of attempt, there must be an act done with the intention of committing an offence and for the purpose of committing that offence, and it must be done in attempting the commission of the offence. The last stage in the commission of a crime is that it is successfully committed and the consequences of the crime results. Preparation consists in devising /arranging the means necessary for the commission of the offence. Attempt is a direct movement towards the commission after the preparation is made. Ex. A person buys a gun, loads it and declares his intention to shoot a person, but until some movement, is made to use the weapon upon his intended victim, there is only preparation and not an attempt. 3. The IPC was enacted on? 4. When did the IPC come into force? 5. The code was drafted in 1860 on the recommendations of first law commission of India under the Chairmanship of? 16. Which one of the following constitutes an attempt? 20. Maya in a fit of rage tells Chaya that she wants her to die. Chaya gets struck by lightning and dies the next day. Will Maya be held liable? Get the updated and most relevant study notes on IPC of Introduction for upcoming CLAT and other Law Entrance Examination.